This modern horror classic succeeds where many in the genre don’t because director John Carpenter’s simple approach gives Halloween a frightening realism. With no special effects and very few cheap thrills, Carpenter builds the tension to unbearable heights. A 19-year-old Jamie Lee Curtis makes her film debut as a high schooler hunted by a psychotic maniac. Out to stop the maniac is his doctor, played by Donald Pleasance in a legendary performance. Avoid the poor 2007 remake. See this classic of cinema instead. 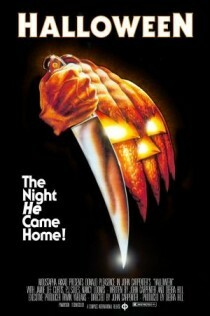 One of my favorite scary movies!!!!!!!!!!!!! !